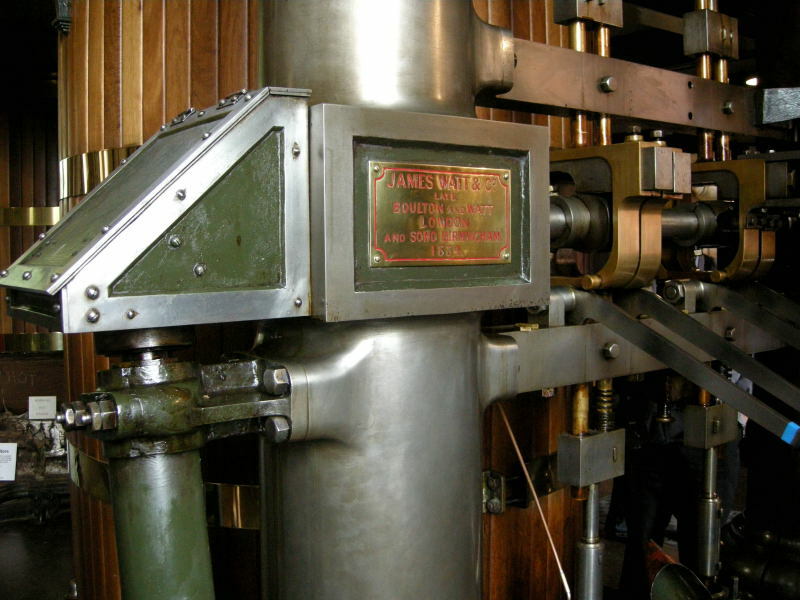 Triple Expansion pumping engine, James Watt & Co, 1906, formerly at Brayton, Selby. James Watt and Co of Soho Foundry, Birmingham. 1849 After the death of James Watt (Junior), the company changed its name from Boulton and Watt. 1856 Subscribed £100 to the Smith Testimonial Fund, commemorating the work of F. P. Smith in promoting the screw propeller. 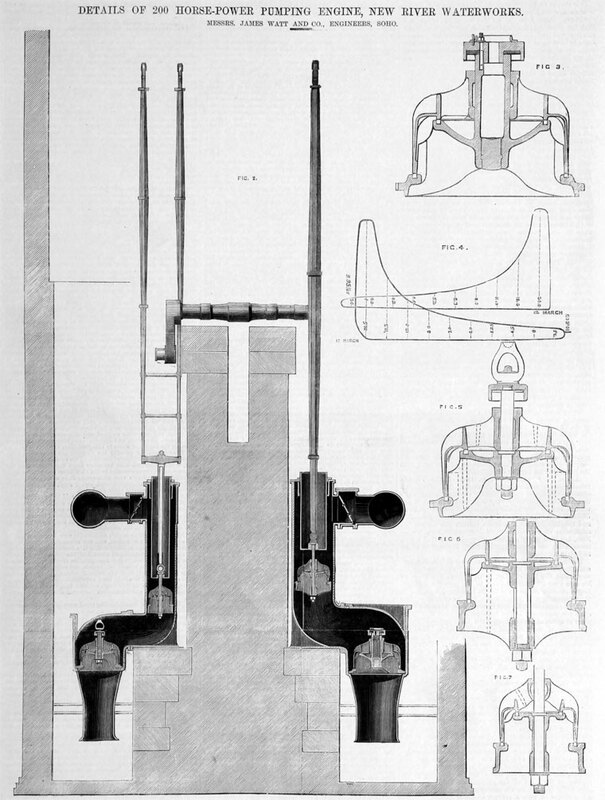 1864 Four 125hp beam engines supplied to the Metropolitan Board of Works, Crossness Pumping Station, as part of Joseph Bazalgette's London Main Drainage Scheme. 1895 The firm had lasted over 120 years, and was still making steam engines but this was its last year of business. 1895 The Soho Foundry at Smethwick closed and was purchased and rebuilt as the Avery company's main factory. 1906 An Inverted Vertical Triple Expansion Pumping Engine was supplied to the Brayton Works of the Selby and Pontefract Water Company. Although the engine was clearly marked "James Watt & Co, Soho, Birmingham", it may actually have been built by the new owners of the Soho Foundry (W. and T. Avery), still using the Watt name. 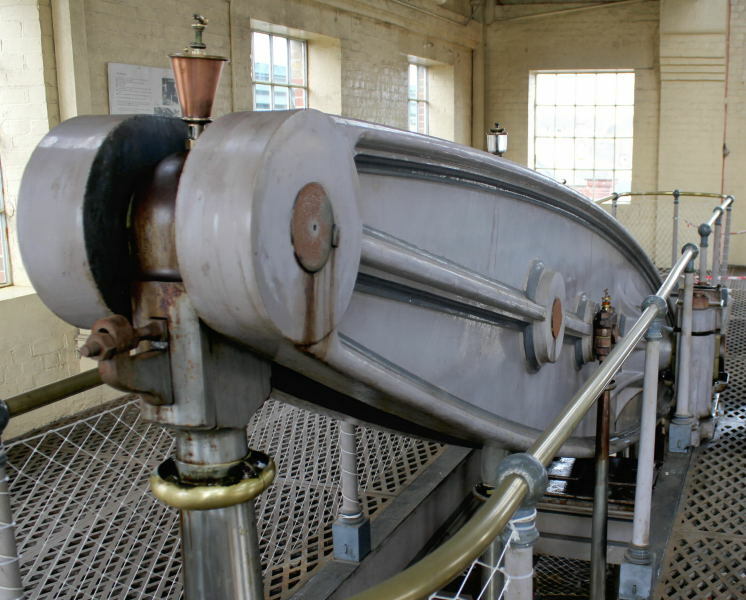 The oldest working engine in the world is Boulton and Watt's Smethwick Engine. 'MONSTER CASTING. 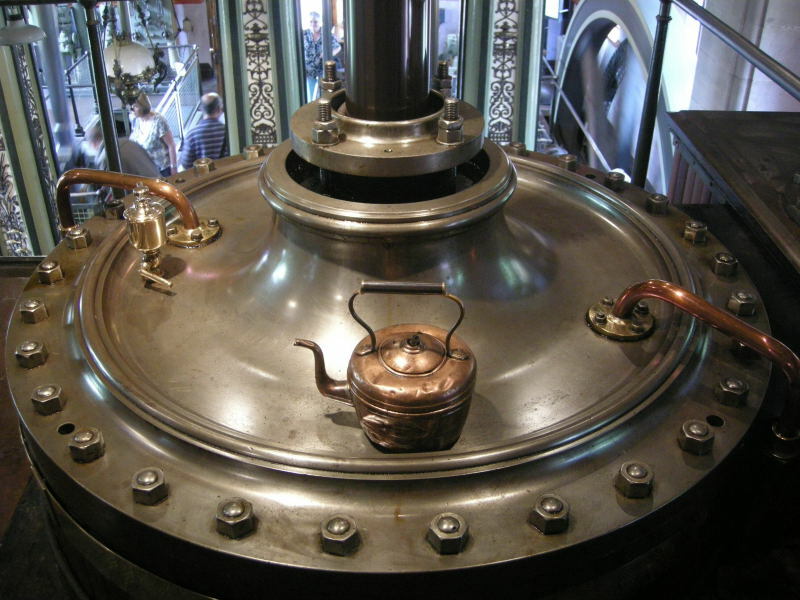 James Watt would have stared with astonishment had his eyes witnessed that which we had the privilege of seeing on Thursday afternoon at the steam-engine works of which he was the founder. What we then saw, however, simply proved that the genius and energy which, three-quarters of century back, gave the Soho world-wide fame, are yet a living force ; and that though the great engineer has been lying quietly in the chancel of Handsworth Church for forty years, the "James Watt and Co." to-day still maintains a foremost place in all that concerns the development of the mighty power with which the name of the firm is so indissolubly associated. The circumstance to which we are more particularly referring is the casting of some unusually enormous cylinders. They are intended for the engines of packets shortly to be placed, for purposes of postal communication, on the Holyhead and Dublin route. The vessels will be of 2,000 tons burden, and by the aid of the powerful engines now being constructed at the Soho Works, it is expected that a speed of from twenty-one to twenty-two miles an hour will be attained. This of course greatly exceeds anything now afloat, the rate at which the Queen's yacht goes being under eighteen miles hour. All who have ever crossed the Irish Channel will appreciate the change. The cylinders, as we have said, are of a size quite unprecedented for engines on the oscillating principle. Their diameter (internally, we may explain to the non-scientific reader,) is no less than ninety six inches, and the piston will have seven-feet stroke. 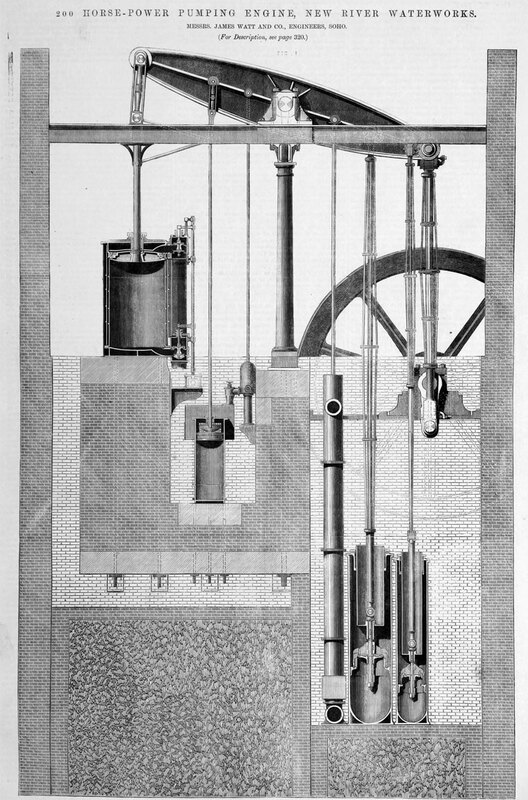 The Cylinders of the Great Eastern are only eighty four inches in diameter, and have four-feet stroke — the great power of the leviathan steam-vessels being obtained by the possession of two pairs of engines, one pair of which was made at Soho. One of the monster cylinders was cast a few weeks ago, and we found it in process of having the roughness of the casting removed. Although no less than thirty-three tons of iron had been poured into the mould, and though now it weighed more than twenty-three tons, not the slightest trace of the smallest air-bubble was visible on any part of the dressed surface, which was as free from specks as though it had been a bit of Coalbrookdale fine art. It was to witness the casting of its fellow-cylinder that we were kindly allowed access to the foundry on Thursday. The building in which this operation is conducted is a very extensive one, and the brick-lined excavations forming the casting pits are of a size corresponding with the heavy character of the work turned out. In one of these pits skilled workmen were preparing the mould for a large screw propeller of novel form; in another, part of huge driving wheel was about to be cast: and in the third, a dozen labourers were hard at work, ramming down soil which fills the space betwixt the mould and the pit wall. "Song sweetens toil, however rude the sound;" and these unpoetical foundrymen, acting on this principle, plied their wooden pistons with redoubled energy as they sang the elegy of some "Uncle Ned" or other, whose misfortune it was have "no wool on the top of his head." They were at work on the "condenser" for the Dublin packets, the weight of which is even greater than the cylinder, while the mould is much more complicated and difficult. In the next pit was the mould which we went see filled. 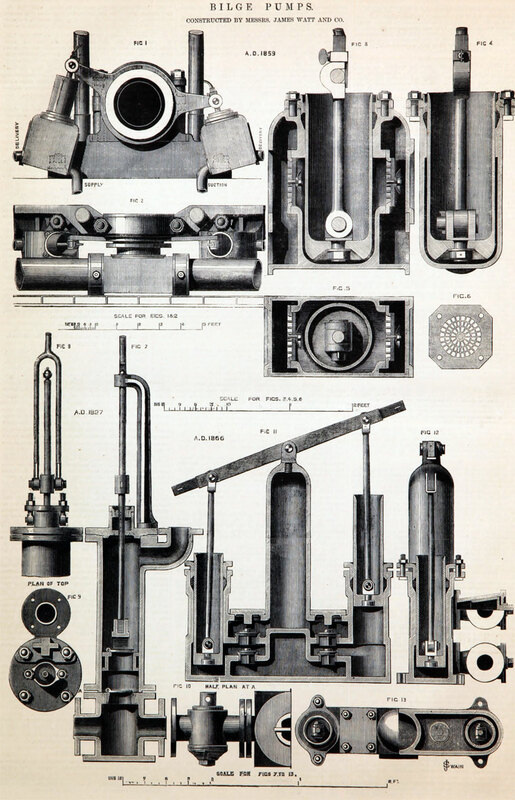 Of course with such an important casting the most minute precautions have to be taken, especially in connection with the means for giving vent to the vapours which are generated inside the mould on the entrance of the metal. If this were not done, a "blow-up" would be the result. Everything being ready, the master caster gives the signal, one furnace another is tapped, and down a loam-lined gutter comes the bright red stream, showers of the most brilliant coruscations shooting out and flying in all directions. But its course is stayed before it comes to the mould. The boiling iron is allowed to accumulate capacious "sow" at the edge of a pit. Here it seethes and frets, a veritable "sea of molten glory," for a minute or two. Once more the head of department speaks, and then came a scene which Salvator Ross would have gladly lived two centuries longer to paint. On opening of a sluice the metal rushed into the mould in a steady, relentless volume. Out came the atmospheric air with roar as though the valve of a high-pressure boiler had suddenly been lifted ; and in an instant the ten or twelve men whose duty it was, standing on the top of the mould, to keep the vent-holes open, were the centre of the most brilliant display of "fire-works" we have ever seen. Quivering tongues of flame shot high above their heads ; red, yellow, and white fires played among their feet ; and torrents of large many-coloured sparks dashed about in such profusion suggest that those who could work coolly in a scene like this would have been capital representatives of Shadrach, Meshac, and Abednego, in the old "Coventry Mysteries". Coolness was certainly required both mentally and physically, for a more exciting scene is not often seen. However, the fiery ordeal did not last long. In a minute the thirty tons of iron had run from sow to mould ; thanks to the presence of mind displayed, not a hitch occurred; and all that remained for the casters to do was to pour sundry cauldrons of metal into the mould as the boiling mass gradually consolidated and settled down. In a few days the cylinder will be raised from its bed by powerful machinery and transported to the fitting shop, where other portions of the machinery for City of Dublin Company’s vessels are in progress. 'A stroll through the works showed that they are in as fine a condition as ever. As can be expected, some of the buildings are low-roofed and old fashioned, but others are as spacious as can be seen anywhere. The great erecting shop has not its equal in Europe. All are filled with the most costly, elaborate, and powerful machinery for the execution of every kind of engineering work, and nearly a thousand men are kept constantly employed. Amongst the orders now in course of execution is one of great extent for the Indian Government. The Soho was always famous for its coining machinery, and twenty-five years ago the present firm sent to Calcutta and Bombay all the presses, rolling mills, and other apparatus required for establishing a mint for each Presidency. The extension of English power in the interval has shown that the provision then made was totally inadequate to the requirements of India, and the energies of the firm of James Watt and Co. are once more tasked to meet the emergency within a short period. The order for Calcutta alone embraces eighteen huge coining presses, eighteen cutting-out machines, eighteen milling machines, eighteen pairs of rolls for the rolling mill, steam engines equal to hundred horse power, and the other apparatus necessary in mint. The extent and importance of the order may be estimated when we state that engine boilers (which are of copper), will cost betwixt nine and ten thousand pounds. The coining presses are of an entirely new principle, the invention of Mr. Harvey, head engineer at the Calcutta Mint. The motive power is compressed air, instead of the vacuum arrangement hitherto used. Its advantage in point of simplicity is obvious. These machines are capable of manufacturing 180 coins per minute. The milling and cutting out apparatus is also entirely new in construction. The latter will turn out per minute 500 small blanks and 300 larger ones. The former, a beautifully simple machine, is capable of milling 400 blanks per minute. 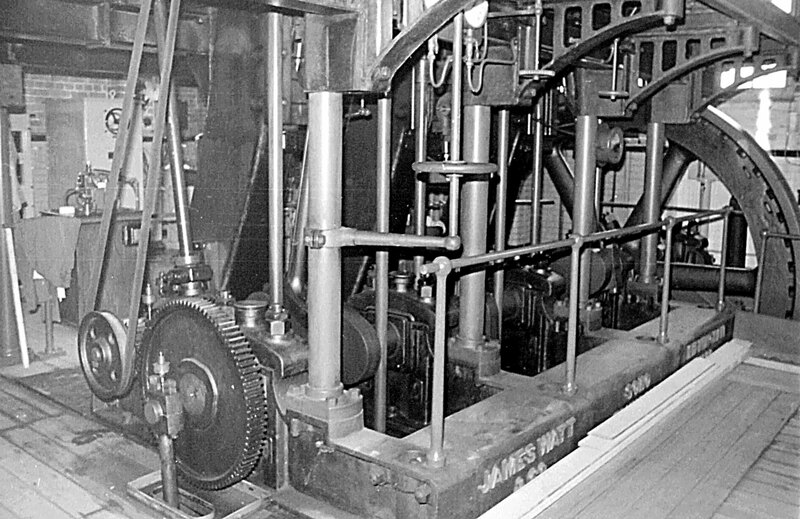 The driving wheel for the rolling mill is no less than twenty-two feet in diameter, and is further remarkable on account of its mortice wheel being geared with wooden teeth. This will prevent much of the noise which such large wheel usually produces.